We know that the earliest operations, in which one human being operated on another, took place over 4000 years ago. Skulls have been found that have holes drilled in them – this may have been done to let out evil spirits, or to cure a headache. Some of the skulls show signs of healing, so the patients did sometimes survive. Later, the Greeks and then Romans and other cultures developed surgical instruments made from iron and did some quite sophisticated operations. During history, surgery has become more common in wars, such as the American Civil War, in which surgeons became very adept at cutting off shattered limbs. What we think of as modern surgery only really started after the invention of anaesthetics in the 1870s. Since then, operations have become commonplace and relatively safe, compared with the hazardous surgery practised by our ancestors. Having said that, there have been, and continue to be, some amazing surgery firsts. This was performed by Christiaan Barnard, a surgery in South Africa, in 1967. In December that year he transplanted the first heart from one patient to another; the man receiving the heart only lived 18 days but the surgery was then proved to be possible. More transplants were done; one of Barnard's patients went on to live for another 24 years. Today, more than 340 heart transplants are done very year in the UK alone. This was done by a Russian surgeon, Vladimir Demikhov, who carried out the first coronary artery bypass in the very early 1960s and his department became the only one in the world to carry out this operation routinely between 1964 and 1967. Sadly, he never really got the recognition that he deserves and no-one remembers his name. This type of operation was developed quite late on – it was not done until 1978. This is not because it is a particularly tricky procedure – with modern laparoscopic methods (keyhole surgery) it is relatively straightforward. It was simply not considered before then as being necessary but the rise in obesity has made it a very common operation today, with over 6000 operations each year taking place in the UK. The first appendix to be removed using keyhole surgery took place in 1981. Keyhole surgery had been developed during the 1970s and Kurt Semm was the first surgeon to use it for this purpose. He later lectured about the operation and published his technique as a paper in a reputable journal, but only after it was turned down by others, as the removal of an appendix was considered an old rather than a new procedure. Bone marrow transplants have revolutionised the treatment of disease such as leukaemia in the last 40 years. The first human bone marrow transplant that was completed successfully was done in 1968 in the USA. This opened the way to stem cell transplants, which are carried out using stem cells from the bone marrow. This technique was pioneered by Donnall Thomas, who won the Nobel Prize for Physiology and Medicine in 1990. 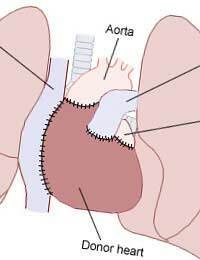 Keyhole surgery has been used for abdominal operations routinely for at least 25 years but new and better modifications are still being developed. In 2009, a 46 year old woman became the first person ever to have a hysterectomy – removal of the womb and ovaries – through a single incision made through the navel. This adaptation of minimally invasive surgery leaves no visible scar, and is cheaper hospitals and safer for patients. In early 2010 another surgery first was recorded in the UK but this one took place in a cat, not a human patient. After a cat was injured in a car accident, and had both its back legs crushed, vets managed to persuade an orthopaedics manufacturer to make the first ever feline knee replacement. The specially designed implant was put in place with pins and the cat had to stay in hospital for 12 weeks, but is now walking well on all four legs.